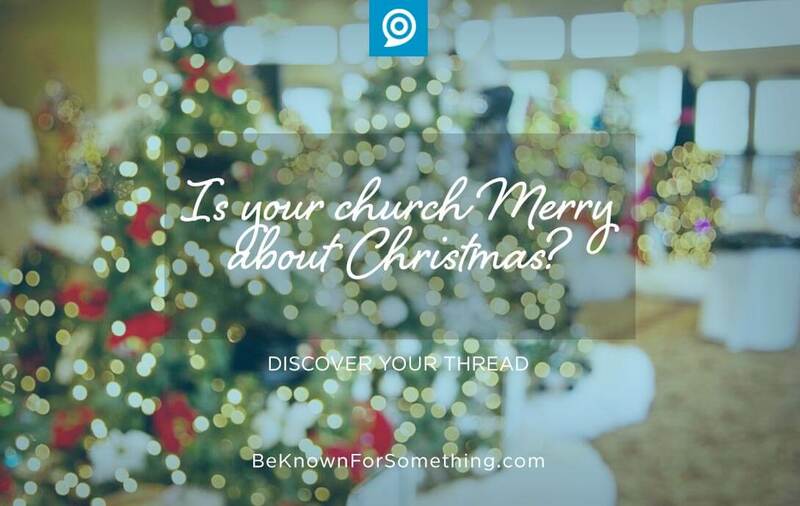 Be Known for Something : Discover Your Church Communication Thread / Communication Strategy / Is Your Church Merry about Christmas? Culturally, Christmas is getting a bad rap (or is that wrap?). Companies are trying to secularize the holy day by promoting materialism and jolliness instead of any religious affiliation. It seems the only time the Church is mentioned in news stories is to talk about how we’re complaining that the world is making this a “holiday” rather than our special “Christmas”. Church communicators have a real challenge when it comes to Christmas. We must take something that most people know about and make it stand out for different reasons. That’s difficult! How do you break through with the right message in a marketing saturated period? Sadly, our Churches join the drone of “average” when it comes to our Decembers, and many seem to slump into secularization of such a pivotal season on our Christian calendars. How can we be different? Are you helping your community find the real meaning of Christmas? Home page stories: On your website, preferably links on the home page, are there genuine stories of what your Church is doing at Christmas and because of Christ? How lives are changed because of your ministries and this Little Baby that was born? These can be short, simple blog-style articles or short videos sharing the importance of Advent. Be careful that we don’t just use our websites to invite people to our events. Engage your community on your website without requiring them to attend in order to hear your message. Social media message: During the week before Christmas, is your church using social media to supply sharable stories, memes, quotes, or verses that focus your congregation followers on Christ with the deeper meaning of Christmas? Are you giving them daily tips to making Christmas practical and spiritual? 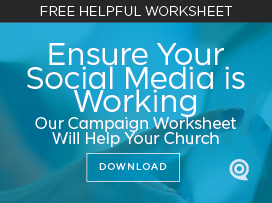 Or are your church social accounts “on-hold” while your staff takes a well deserved break? The greater story: Take a fresh look at your online presence as a pure unchurched outsider. Are you using lots of pictures of poinsettia flowers, candles, sheep and camels or are you directing people genuinely to Jesus? Often, our churches attract people to the feel-good message that we love to sing about while we need to have a connection to the “why” of Christmas for those looking for deeper Truth. This fuller message doesn’t have to be on the home page (nor should it be), but there needs to be a short path via links to a deeper message of what makes Christmas different, truly different, for Christ-followers. I’m praying this special time of year gives you a time of focusing on why you do what you do. And that you arrive back at your place of service with a deeper purpose and resolve to connect Christ to your communities. Merry Christmas.